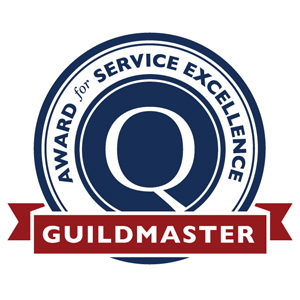 Structures Building Company has once again been given the honor of GuildMaster with Highest Distinction by our third-party surveying company, GuildQuality! At the close of each project, using a GuildQuality survey, our homeowners give us feedback on a variety of items including quality of work, schedule, budget, overall satisfaction with Structures and many more. This is a great resource for our company, and helps us find ways to maintain excellence in customer satisfaction and continue to build the highest quality homes in the Lowcountry. The GuildMaster distinction is given to custom builders who receive excellent scores on their surveys, and we are thankful that our clients continue to have a remarkable building experience with Structures! To view everything our clients have said about their experience building with Structures and our GuildQuality scores, visit our member page HERE. You can also read all about the qualifications for the GuildMaster Award on their website.